DS Windows & Walls collections of roller shades are available in both total blackout and sheer shade materials. They are highly made-up from the finest and non-hazardous materials available for our customers’ specifications. 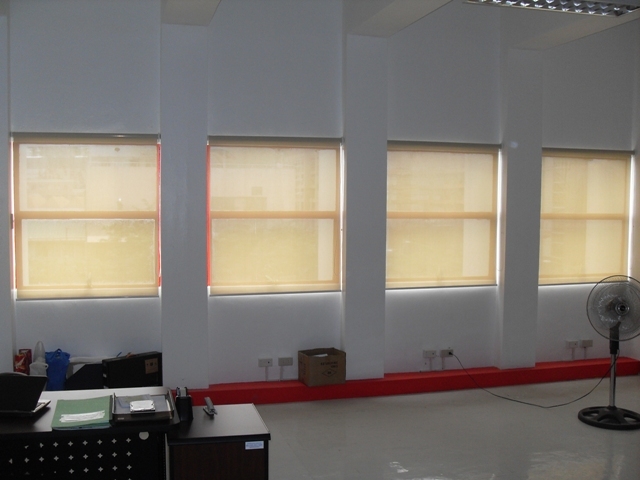 We have installed a roller shade from a sheer shade material at Comfoods Building, Makati City for their windows requirements. Roller shades from a light filtering / sheer shade material absorb heat and filter the light while still preserving your view. In every choice, there can always be pros and cons as you go along, same as purchasing shades, blinds, shutters and other window covering. We recommend knowing first the needs of your windows; what fit in it and your existing décor. 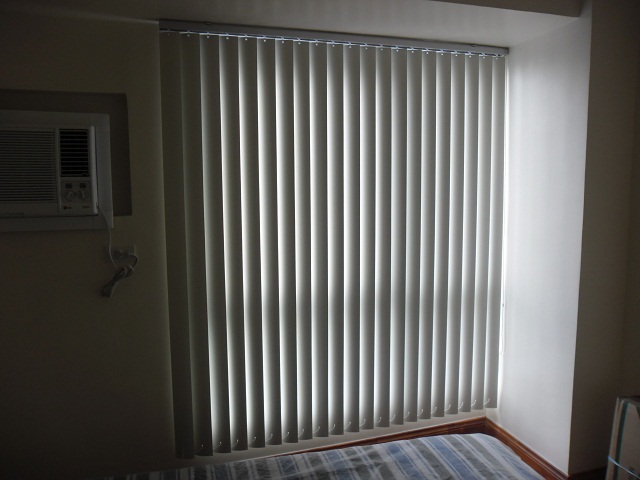 If you opt for a superior light control, we have blackout material for roller shades. 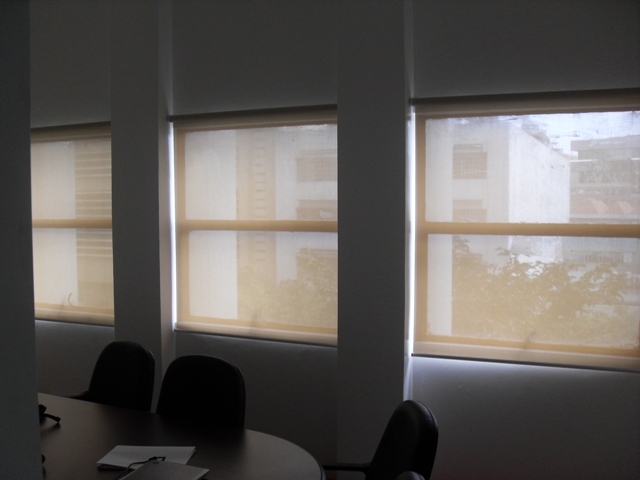 If you want to maintain the view while filtering the light, we have sheer shade material. 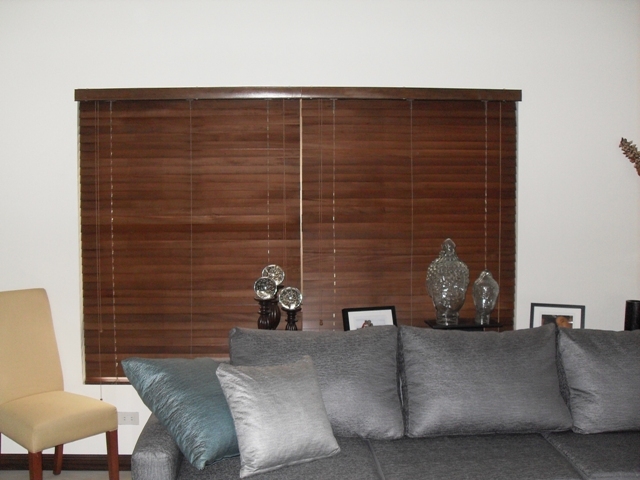 Roller shades can be the right treatment for your windows and I’ll share with you its pros & cons. • It can only either up or down and when it comes to light control, it cannot offer any dispersion or desired direction of light. For any product you want to review with us, reach us at (02) 403-3262 or 0916-311-3909, or email us at inquiry@dswindows.com.